There's nothing quite like becoming a parent. You'll never forget baby's first smile, the first time they say 'mama' and the first time you see your bank statement. Make no mistake about it, parenthood is a magical journey, but it's also an expensive one. 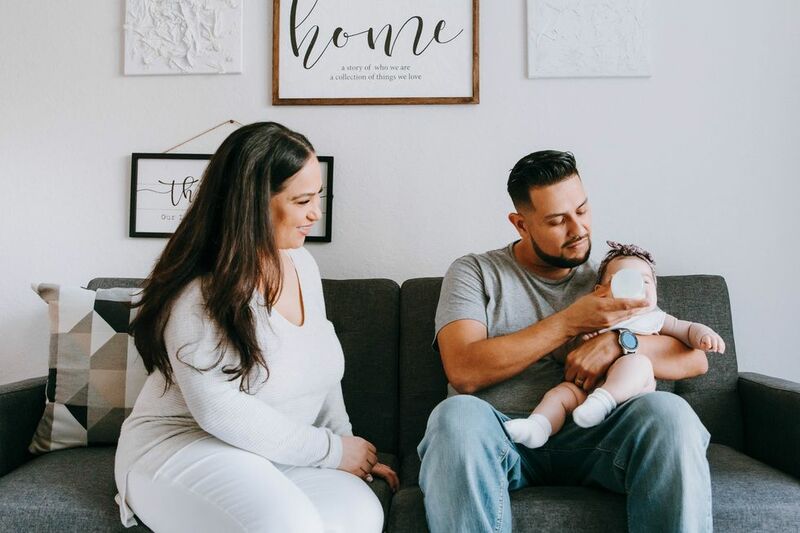 One month you're enjoying weekly date nights out with dinner and a movie, and the next you're making weekly excursions to the grocery store for diapers and wipes. When you add another human being to your household, including the costs of their food, clothing, medicine, toiletries, classes and all sorts of gear, you'll wonder what you used to do with all that extra money. Having a baby can be a shock to the system financially, but if you plan in advance, it doesn't have to be. A general rule of thumb is to try to take the three or four months before the baby arrives and spend $400- $500 less a month than you typically do for someone who lives in the East Coast region. If you can do this without feeling the pain, congratulations, read no further. But, like many first time parents, you might need a little help getting there. These tips can help soften the blow. Realizing that life is about to change dramatically from a financial point of view is a great place to start. You're not only adding another mouth to feed, but someone who needs lots and lots of products, and around the clock care. Tackle this financial challenge together. If you haven't already, consider merging expenses with your spouse before the baby arrives. This can lessen the stress of divvying up the cost of diapers, formula, nanny and daycare on two hours of sleep. When you have an idea of your combined monthly income, and discretionary funds left over, it will be much easier to figure out what you can and cannot afford for baby. 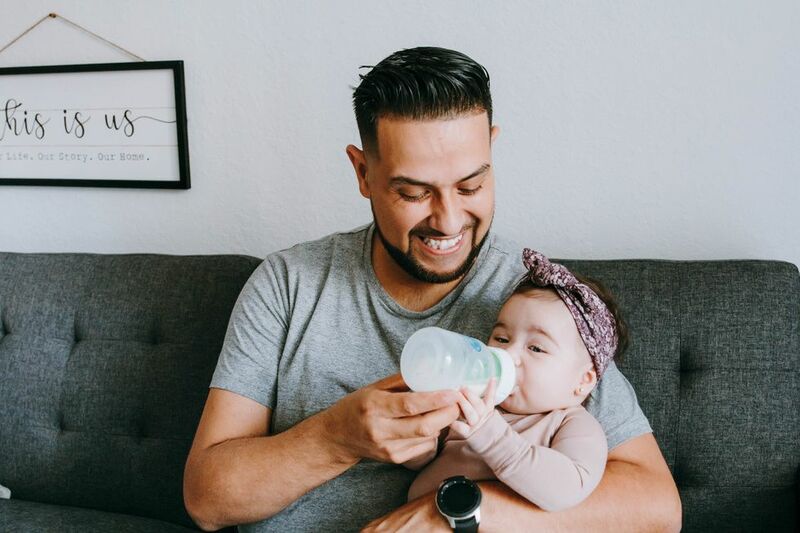 As a general rule, as I said above, about $400-500 per month is what I recommend to clients to cover the basics for the baby for at least the first six months. Some people find that that slows down for a few years but then picks up again once school, sports, birthday parties and other events start. In addition to the endless diaper runs, there will be several one-time-only big ticket items that you'll need to buy, like car seat, stroller and crib. As you're trying to plan for an extra $500 a month in repeatable costs, don't let these one time purchases put you in the red. If you're fortunate enough to have friends, family or coworkers offering to host showers for you, be thoughtful with your wish lists. Consider placing a group gift item on your registry or let loved ones know you really need a car seat rather than more clothes. You can ooh and ahh over cool strollers, but when you go to pick yours out, be a smart consumer. Most mamas don't really need a fancy $1,000 stroller for the newborn to 6-month stage. Opt to prioritize baby gear that will grow with baby rather than ones that have a cool feature. Do your research and make use of experienced mom friends and reviews. While you can be a smart consumer, there are some preparations that you absolutely cannot do without. So cut frivolous expenses, but don't cut the life preparations. Something many parents don't do is purchase Term Life Insurance for your new addition. This replaces your income (and your partner's) for at least a long enough to get your youngest child out of college. Hopefully you'll never need to use it, but it provides great peace of mind. Also, discuss drafting a will to ensure your family's wishes would be carried out in the future. Parenthood is wonderful and exhausting at the same time. Plan for childcare ahead of time if you want to go back to work. And, a your looking at your updated family budget, be sure to build in some "me" and "we" time to your discretionary budget. Mama time doesn't have to be a weekend away at a fancy spa. It can be a babysitter for two hours while you go to Starbucks for a latte with a good book. Little changes, can make big changes...emotionally and financially. 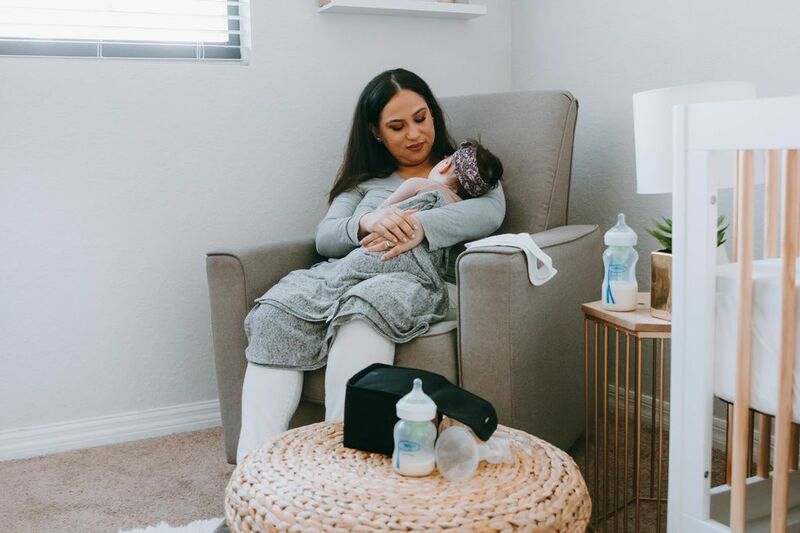 When your baby arrives, you'll want to have the freedom to do nothing but take care of them—and yourself for a little while. Preparing now will give you the peace of mind to start parenthood off on the right foot. Life will throw us curve balls, so take advantage of what you can control before starting on this magical adventure. Giving birth means going into debt for some mothers in America, but why? Lori Atwood, CFP® is the Founder & CEO of Fearless Finance, a personal finance platform and app that gives users a complete 360 degree view of their financial situation. After working in the finance industry for over two decades, Lori discovered a need in the marketplace for a user-friendly financial tool that gives users a whole financial wellness approach and that's when Fearless Finance was born. Along with Fearless Finance, Lori has a one-on-one financial planning consulting business where she works with clients on their overall cash flow, debt/savings, retirement planning and financial goals.